A well-paying and rewarding medical career may seem like it would come with a long educational path and astronomical school debt. But, that isn’t always the case. You may want to consider the field of x-ray technology. Why? Choosing to become an x-ray or radiologic technician will ensure you a job within the great and growing world of medicine—and you’ll be done with your education in approximately two years. As an x-ray technician (aka radiographer or radiologic technician), you’ll be working alongside a medical team to diagnosis a patient. You’ll be trained in all the patient procedures and high-tech equipment usage. You will learn the proper way, according to your state regulations and procedures, to protect yourself and your patients from exposure to the radiation from the equipment you use. You may be trained in one or all of the following: mammography, computed tomography (CT scans), and magnetic resonance imaging (MRI). Complete a radiologic technician program through a trade school or community college. Depending on which program you choose, whether it’s a certificate or degree, you can graduate in as little as two years if you go to school full time. Most states will require you to have a license. You MUST complete an accredited program in order to be eligible for one. Pass the certification exam. To keep your certification and license current, you’ll have to complete continuing education hours every two years. Check with your state’s licensing committee to find out more. Consider specializing in mammography, CAT scans, or MRIs. These may increase your job opportunities and provide larger paychecks. 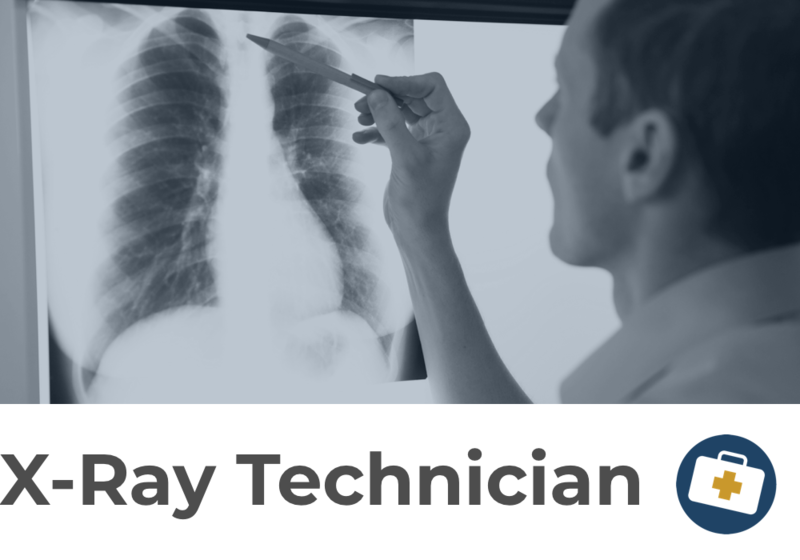 Now is a great time to consider becoming an x-ray technician. The Bureau of Labor Statistics predicts an employment increase of 21 percent through 2026. What this means for you is that there will be over 23,000 new jobs available. If you graduate from an accredited program and have some specialty certifications, your prospects will be excellent. As a radiologic technician, your median salary is over $58,000. This means that half of those in the field make more than that, while the other half makes less. Variables such as your experience, location, and industry factor into what your actual salary will look like. Going into the medical field of x-ray technology will practically guarantee a high paying, highly rewarding job, as long as you fulfill the requirements. And, when it comes down to it, isn’t that what we’re all after anyway?